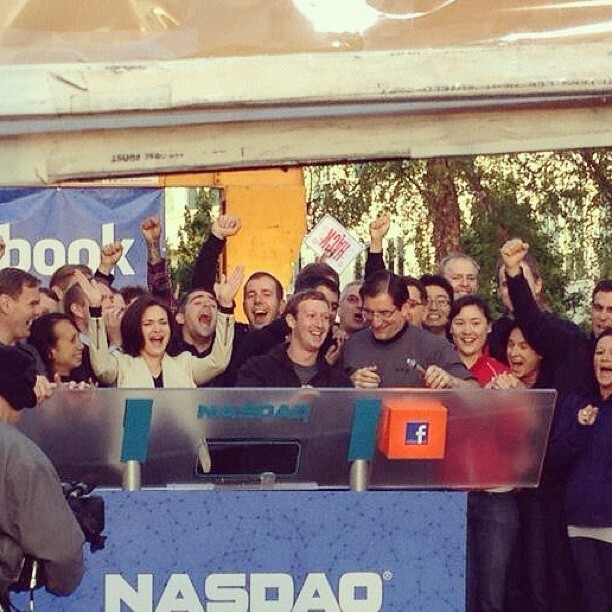 It’s been a long time coming but it’s finally happened, Facebook has gone public on NASDAQ and is offering 421,233,615 shares to investors. Updated. As you can imagine, there’s quite a party going down at Facebook’s Menlo Park headquarters, with thousands of employees sharing their experiences directly on the social network, but also via one of its newest acquisitions — Instagram. 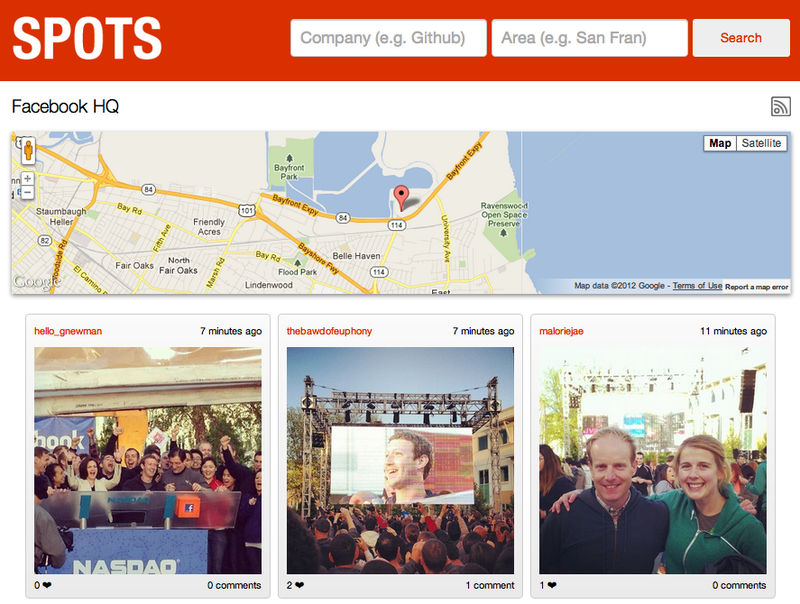 Thanks to Instagram’s API and Spots.io, we can see every photo that the guys and girls at Facebook are posting to the image sharing service, in almost real-time. If you’re so inclined, you can subscribe to an RSS feed for the location, so you can be notified of the latest Instagram photos shared from Facebook’s California campus. Instagram might not officially be a Facebook property (it’s facing a longer than expected wait thanks to an FTC probe), but its employees are already big fans of the app. If you want a good look at what they are sharing without having to subscribe to individual updates, this has to be the easiest way. Update: If you’re looking for an alternative, as Spots.io seems to have overloaded, check out this gallery at Instabam.